Hi everyone! 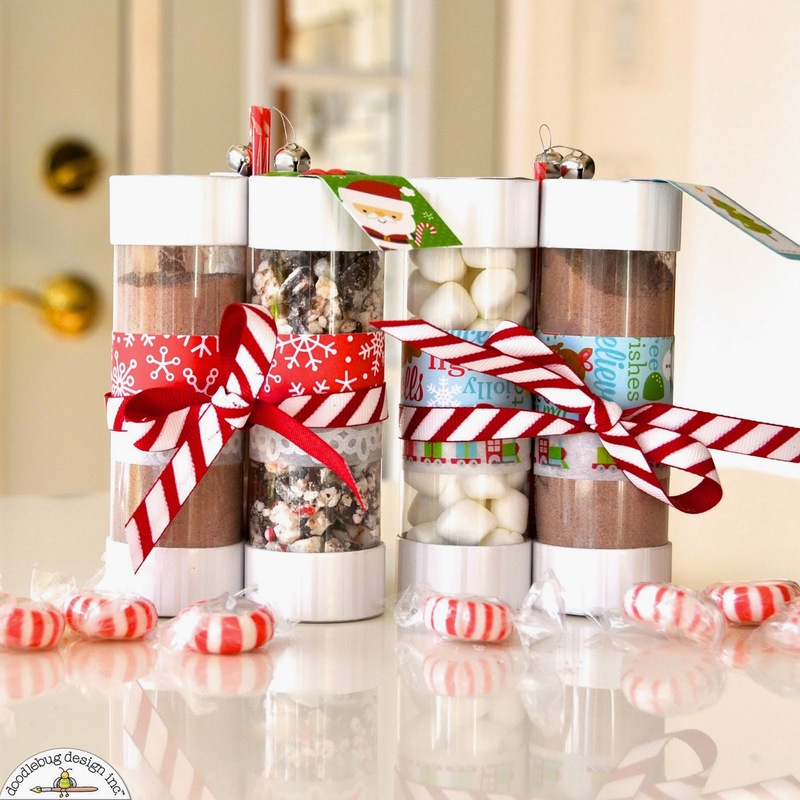 Courtney from Court's Crafts here with an idea for your neighbor gifts this year! I saw something similar to this and knew it needed some doodlebug cuteness! I used the pixies as stirring straws (and they can use them as real straws! They are food grade!) 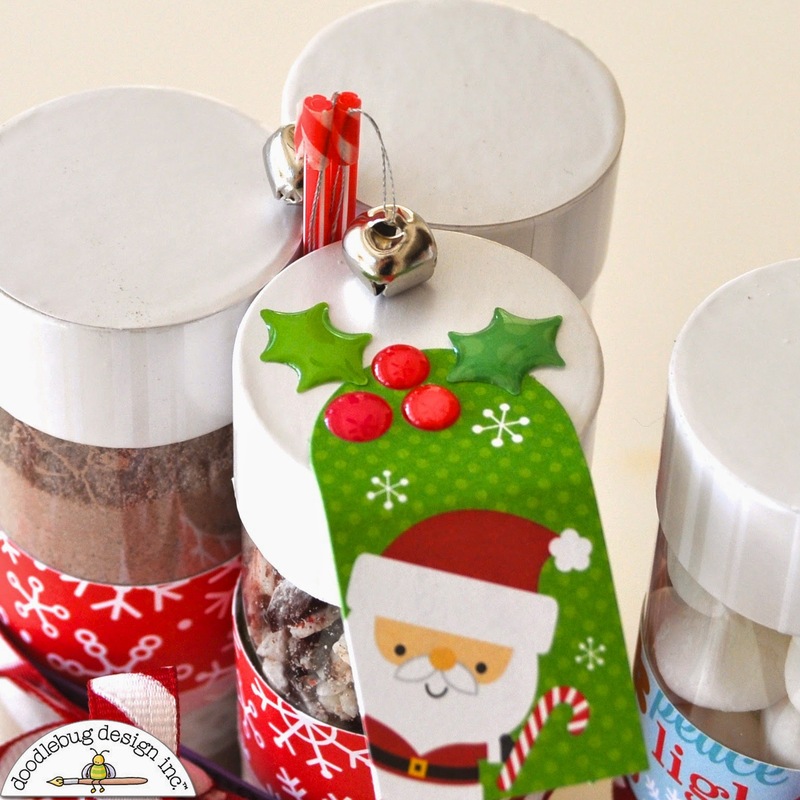 I attached jingle bells with washi tape. Did you see the tags that come with the Santa Express collection? Easy peasy! I used a gumdrop sticker from the "icons" to anchor it down. I LOVE this white doily washi tape and the choo choo train washi tape. Love these Courtney! Love the idea of using the pixies as stirrers! This is the cutest idea. Where did you get the containers? This is definitely cuteness overload! 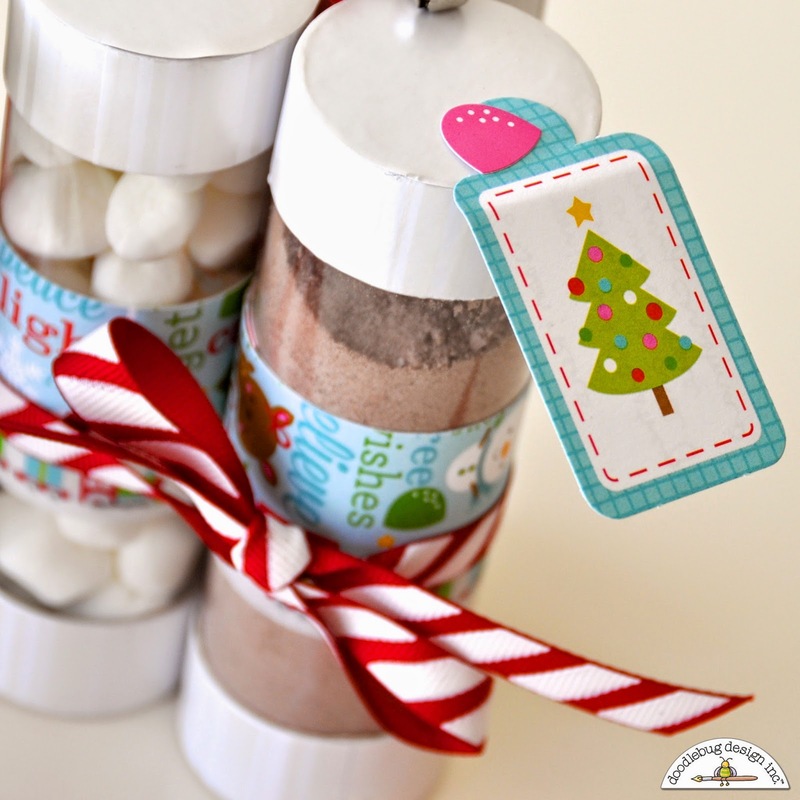 Such a fun gift idea, love how you can use the pixies! The embellies are fabulous and the touch of washi is another fun element! Awesome project! 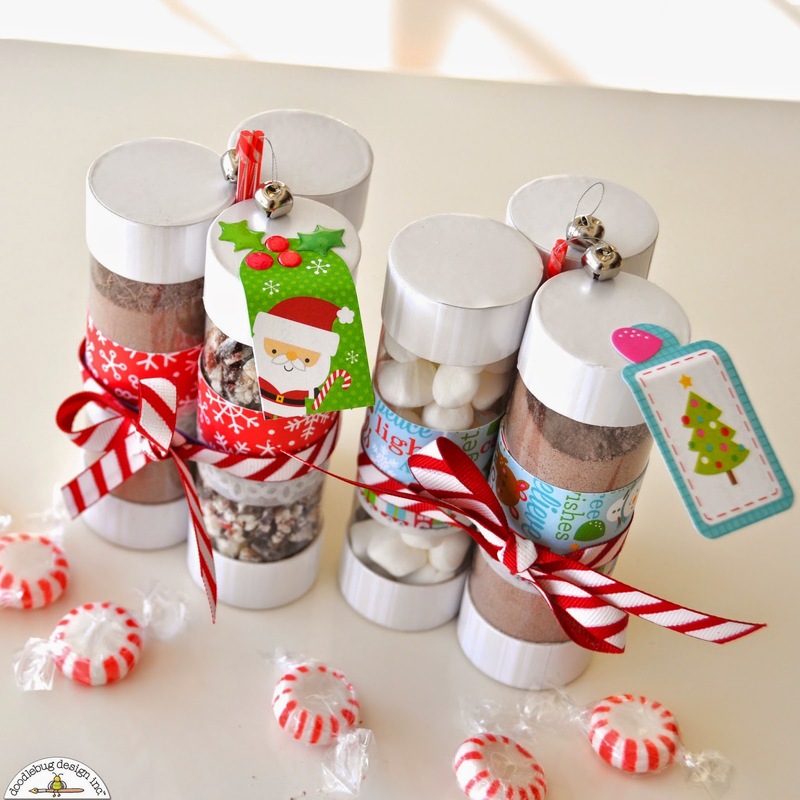 Wherever did you get these containers to make this adorable craft? Sorry this is so late! I got them at Party City. They are made by Wilton though in the bridal section for wedding favors. I am sure you can find them online somewhere! :) Thanks for the sweet comment! What a great idea! So sweet. Would love to know where you found the containers???? Such a cute idea! Love these, such a sweet holiday gift. Love these, but where did you find the containers...haven't seen anything similar locally. Gift Card Holders with a Fun Twist!